Eagles fall in game one but claim game two of the day against Academy of Art. 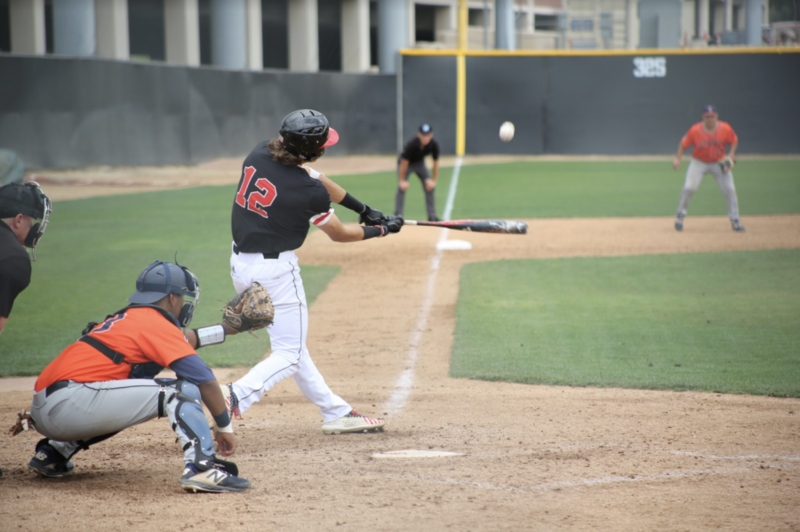 Biola picked up play for the second straight day at home with a doubleheader against Academy of Art University. Despite a late rally, the Eagles fell 9-8 in game one, but bounced back for an 8-5 victory in game two. The Urban Knights got the scoring started early with six runs in the first three innings to put the Eagles in an early deficit. However, the fourth inning was a good one, as Biola cut the gap in half. Redshirt freshman catcher Andrew Buglino got the scoring started with an RBI double, and senior third baseman Anj Bourgeois singled to score Buglino. Bourgeois soon came across the plate on an error from Art U. A three-run fifth inning from the Urban Knights stretched the lead back to six at 9-3. Another error allowed senior left fielder Jerron Largusa to score, and several more mistakes from Art U led to two more runs to close the gap to 9-7 headed to the ninth inning. A wild pitch brought home sophomore second baseman RobertAnthony Cruz in the ninth, but the rally fell short as the Eagles dropped game one 9-8. Biola came into game two with a chip on their shoulder, striking for three runs in the first inning. The first run came on yet another Urban Knights error that brought home Largusa, and Cruz tripled to score sophomore first baseman Jackson Collins. Another wild pitch allowed Cruz to score and make it 3-0. Art U struck back in the third with two runs to tighten the gap. Freshman catcher Caleb Watson stepped up with the bases loaded and knocked a single, reaching third on several errors and clearing the bases to stretch the lead to 6-2. Watson scored on a sacrifice fly from Bourgeois to make the score 7-2. A three-run fifth from Art U made it 7-5, but Bourgeois continued his productive day with an RBI single that brought home sophomore shortstop Connor Kostecka to bring the score to 8-5. The Eagles buckled down from there to claim the victory by a score of 8-5. Biola (20-15, 11-12 PacWest) finish their four-game series against Academy of Art at home on Saturday at 12 p.m.